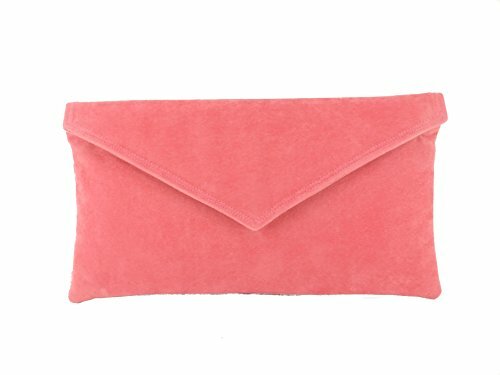 Loni Womens Neat Envelope Faux Suede Clutch Bag/Shoulder Bag in Coral Pink by LONI at Purse Outlet Coach. MPN: BAG-12765. Hurry! Limited time offer. Offer valid only while supplies last. Neat evening/occasion/wedding bag in smooth faux suede. Envelope design in a choice of colours, all designed with shoe and outfit matching in mind.